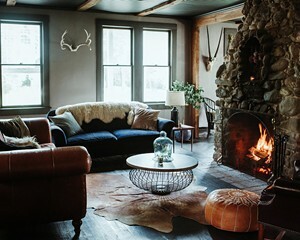 The vintage chic (read: rundown) of the Catskills ski towns has been updated in recent years with the opening of a number high-end restaurants and hostelries. From burgers to chef’s tasting menus, what was previously perceived as a culinary backwater has come into its own as a destination-dining region. A prime example of this food renaissance is the farm-to-table fare Prospect at Scribner's Catskill Lodge. Scribner's is located on the site of the Hunter Mountain Prospect House, an opulent mountain house built in 1881 in high Catskills mountain house style. In the 1960s, the site was rehabilitated and turned into the Scribner Hollow Motor Lodge. In its motor lodge incarnation, Scribner was legendary for its indoor swimming “grotto” and wild bacchanals of a type familiar to films like Cheech and Chong’s Up in Smoke. The lodge sold a few years ago and the building was largely reimagined by new owner Marc Chodock. The sleek remodel features 38 rooms, a pool, thoughtful common spaces, and plenty of outdoor seating on decks looking out on the nearby peaks, and the restaurant, Prospect, which serves breakfast seven days a week, brunch on Saturday and Sunday, and dinner Wednesday through Sunday. Another good example of Napolitano’s straight-ahead, rustic New American is the steelhead trout, served with marble potatoes, house-made sauerkraut, and whole grain mustard ($34); the dish has a wonderful textural contrast between the crispy trout skin and the pliant sauerkraut. Other standout-outs include the heritage pork chop served with smoked apple butter, crispy Brussels sprouts ($38); polenta with smoked maitake mushrooms, farm egg, and horseradish ($25); and diver scallop crudo with marble potato chips, creme fraiche, and caviar ($18). At Prospect, the focus is on locally sourced ingredients as much as possible. 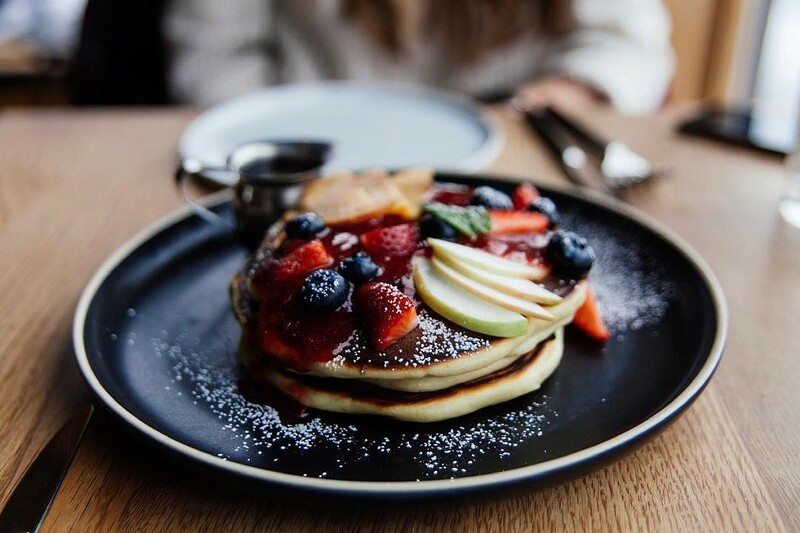 Nearby purveyors include Highland Hollow, Miracle Springs Farm, Yellow Bell Farm, and Common Hands FarProspect also has its own vegetable garden, which provides some signature ingredients during the growing season. The wine list is well curated, with some interesting off-beat wines from unexpected regions (a Piero Brunet Prie Blanc from Vallee D’Aoste as well as a Nestarec Pinot Noir/Zweigelt blend from Moravia), but it’s pricey, with bottles starting at $48. There’s a cocktail program, of course (all priced at $15, with a CBD an extra $5), with stand-outs including the high-octane Scribner’s Vesper Martini (a mix of gin and vodka) and the fizzy Purple Rain (gin, mulled wine syrup, and Cava). There’s also a rotating selection of craft brews on tap from premier local outfits like West Kill and Chatham Brewing ($8).